Chicken Fact or Chicken Poop: The Chicken Whisperer’s Guide to the facts and fictions you need to know to keep your flock healthy and happy. 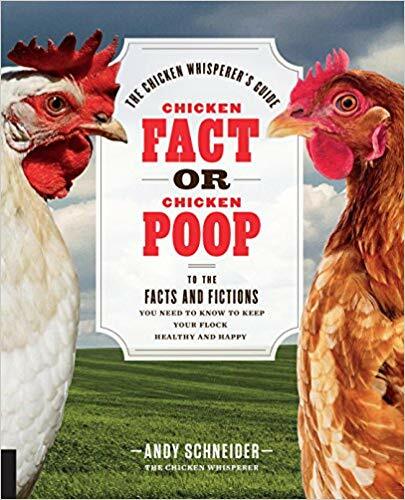 Chicken Fact or Chicken Poop is a science-rooted, fact-based, and study-reinforced manual designed to help you weed through the facts and fictions about your flock. Regarding the post about the basketball player who rides a bicycle–Yes, the safety of all who ride bicycles in extremely important. However, the American obsession with professional sports is detrimental and a distraction from far more important life events and choices. Well now, wasn’t that article by Douglas Rushkoff a real downer? Can’t say I’m surprised that a bunch of revoltingly rich people are stingy and grasping – and shortsighted. Why bother treating the help well if you can just replace them with robots? I suppose this is to be expected now that faith in technology, especially expensive technology, has supplanted faith in anything else.